A story about the beginnings of Sam's Cats & Dogs. Our store was established out of a love of animals and the desire to provide the best life possible for our pets. And so Sam's Cats & Dogs, Naturally was born. We can trace our humble beginnings back to 2005 when Sam opened his first store on Main St. in Monroe, Washington. It was just a small storefront in downtown Monroe, but it had a warm, homestyle feel to it. I can remember when I was just a customer at the time. Being the recent rescuer of an Australian Shepherd puppy, I wanted only the best for my new best friend. 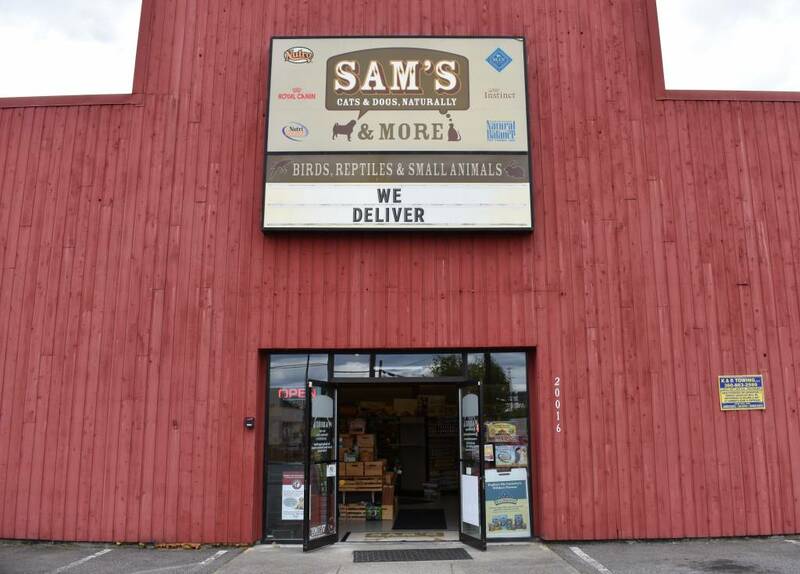 My excitement that a store like Sam's Cats & Dogs (one with healthy, natural products and an unwavering interest in the well-being of my pet) had come to Monroe was obviously shared by many others in our community as well. As more and more pet lovers continued to discover our store, business grew and grew. Fast forward three years later to 2008. Our business had grown so much that we were forced to move to a larger location! The new spot that we picked in Monroe was three times bigger than our first store! Wow! This new space also provided us with some new opportunities: our own in-house production of treats and chews, and dog grooming services. But good things can't always last forever. Sometimes they have to get even better! Yup, that's right. In 2012, we moved the store to our biggest location yet on Old Owen Rd. in Monroe! Since then, everything about us has grown into who we are today, from our selection of premium products for your pets, to our thriving grooming department, to our wonderful, hard-working staff! And, because of our success, we were able to open a new store in Everett, Washington, too! Yes, you heard correctly, we now have two locations, so it's even easier for us to provide you with all of your pet's needs. We believe in community. We believe that offering one's services to those in need provides the framework for strong, lasting relationships with the ones around us. Because of this belief, Sam's Cats & Dogs has always strived to be a servant to our community. Throughout the years, we have partnered with such organizations as the Sky Valley Food Bank, Beck's Place, Take the Next Step, the Everett Animal Shelter and many others! And we're able to do what we do because of people like you. People who love their pets and their community as much as we do. Thank you to each and every one of you. We're so honored to be here, and we look forward to serving you and your family for many years to come.